Podiastat is a diagnostic tool for early recognition of altered pressure patterns in the individual with diabetes. It was documented that during the roll-over process, the neuropathic forefoot displayed increased and longer loadings than the healthy forefoot. The neuropathic patients also exhibited a "slap" gait. The load on the heel and toes was lower the areas of highest risk for tissue breakdown. 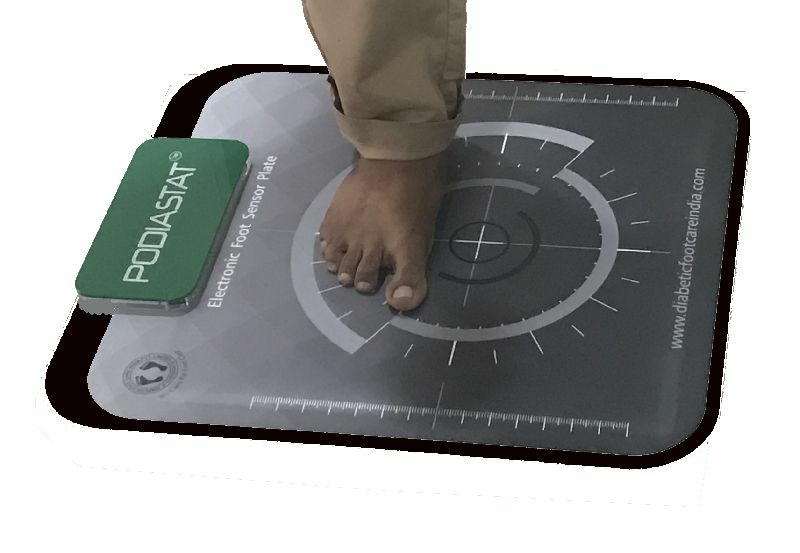 Podiastat has 1600 array of sensors across the sensor plate that can accurately measure Static, Dynamic, multi-Dynamic and Postural measurements. Software helps to show the gait movement in 2D, 3D with provision to measure angle and draw in the measured data. A video camera can be connected to generate a video of foot movement in sync and serves as a mini gait lab.